What good have you done today? There is no doubt you could more than likely name a handful of things that are great for the environment. How green is your website hosting? This is a question many more people are having these days. We have spent some time researching this topic for you. Here are the top three reasons to get green web hosting. It has been stated by the U.S Department of Energy that if buildings were all green-improved that the U.S. would use $20 billion less energy every single year. Studies out there have shown that by the year 2020 that the web hosting industry will be as big of a polluter as the airline industry. It is also worth mentioning that comprehensive research also shows that despite anticipated efficiency innovations to airframes, engines, aerodynamics and flight operations, there is no end in sight – even many decades out – to rapid growth in CO2 emissions from air travel and air freight. You should support web hosting companies that support green technologies. You might say that one person’s choice really doesn’t matter, but it does. Green web hosting reduces your carbon footprint. By choosing a green web host, you and many other people out there are reducing the amount of energy that is being used and creating a greener and cleaner environment. Who knows? Maybe you choosing a green web host will inspire others around you to do the same thing. It might also motivate you to make your day-to-day life more environmentally friendly too. You could start to walk to work. You might pick up recycling. One person’s choice does make an impact because everybody impacts those around them. Maybe in the future, there will be no need to look for a “green” web host because they all are good for the environment. Only time will tell for sure. 3. Green Hosting is Cheap! Sometimes when you get a premium service, you expect it to cost you more. Right now, there is no reason a green web host should charge you more than a regular web host. Depending on how they operate, they should have no problem moving a portion of their profits to invest in a greener business. Some companies do this by planting trees. Others do it by wind power credits. Make sure you do not have to pay a little extra to get green web hosting. You will gain access to over 150+ ready to install applications like WordPress with a single click. The support is based in North America and is ready to help 24/7. Is Green Hosting for You? The fact that green hosting is readily available is a great thing. Not just for you and us, but for everyone else on the planet too. Without an uptick in price, you can support companies that support the overall good of the planet that we live on. Changing the way you live – like adding recycling to your to-do list, is good but why not invest your money for your website in a company that is doing much more than just hosting your personal blogging website. 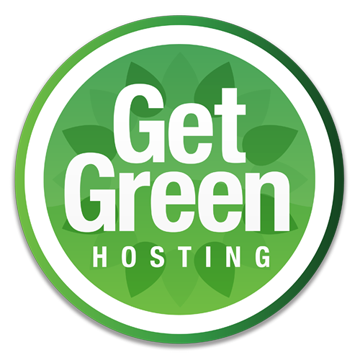 If you can find it, green hosting is a great feature to demand from your web hosting company. Let’s think about making our planet greener and healthier. Let’ Support Green Hosting !